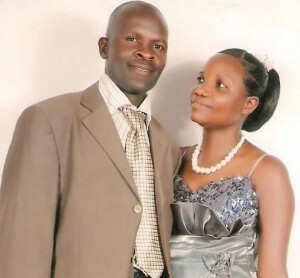 Biography: Seth House of Prayer and Healing Ministries has been busy in Kampala, the capital city of Uganda, since 2008. Their emphasis is to equip the leaders with the power of the truth of the Word of God. The church has nursery and children's ministries, with an active youth group which meets twice a week. Joseph tells us that God uses him in preaching the Gospel, teaching inside and to heal people through prayer. "My strength in ministry is to teach the Gospel in unreached areas, to fight poverty in our people through teaching them how they can survive...to equip the young generation in all areas of ministry so they may stand in the gap anywhere necessary." Strengths: Joseph is a gifted teacher and preacher with a heart to help others achieve.